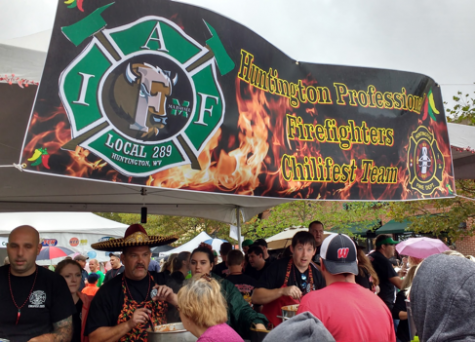 Huntington Professional Firefighters serve their team’s chili at the 2015 ChiliFest. From its humble beginnings in Ritter Park in 1983 to now with over 20,000 people jamming the streets of downtown Huntington, ChiliFest has become a community favorite event both well-known and attended in the area. The 33rd ChiliFest will take place Saturday, Sept. 9 from 11-4:30 p.m. at Pullman Square. As in years past, ChiliFest will benefit the Ronald McDonald House Charities of the Tri-State, and WSAZ-TV, as the presenting sponsors, have raised over $500,000 to benefit the House through ChiliFest. Admission to the event is free of charge, and chili sample tickets are $1 each or six for $5. Participants can also buy $10 tickets for a chance to win a brand-new Toyota Rav4, donated by Advantage Toyota. All of the proceeds benefit Huntington’s Ronald McDonald House. Cooks come from far and wide to downtown Huntington, with their pots, spices, secret ingredients and chili lore for this spirited competition. The Chilifest Champion qualifies to represent West Virginia at the International Chili Society World’s Chili Championship. Cooks also have the chance to win other titles such as “Best Chili Verde” and “People’s Choice,” which is based on who sells the most chili. A variety of different types of chili will be offered, like buffalo chili, chili made with fresh local ramps from the Wild Ramp and different flavor ranges from mild to fire hot. Some teams offer vegetarian chili, and there are other options for those who don’t like chili. 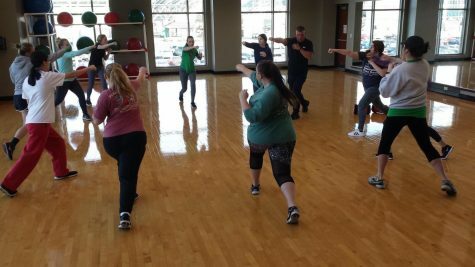 Ronald McDonald House Charities of the Tri-State, Inc., is a home-away-from-home for families throughout western West Virginia, southern Ohio and eastern Kentucky, who travel great distances to seek medical attention for a sick child.